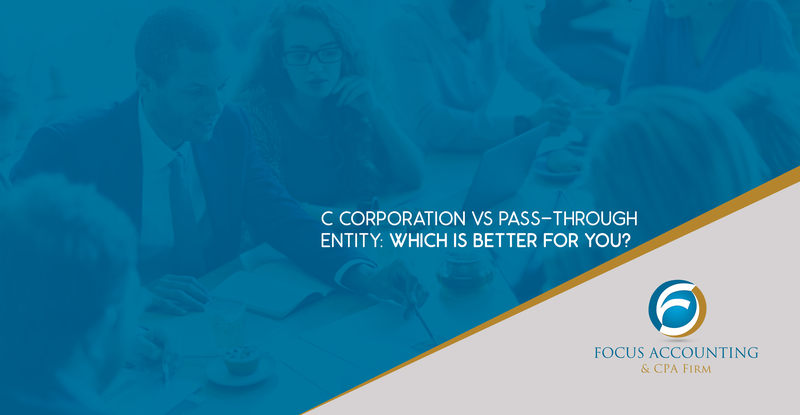 HomeBlogC Corporation EntityC Corporation Vs Pass-through Entity: Which Is Better For You? On the surface, the TCJA’s new, flat 21% income tax rate for C corporations may make choosing C corporation structure for your business seem like a no-brainer. After all, 21% is much lower than the 37% top rate that applies to pass-through entities such as partnerships and S corporations. However, C corporations can still be subject to double taxation. Also, pass-through entity owners may be eligible for the TCJA’s new 20% qualified business income deduction. The best entity type for your business depends on its unique situation and your situation as an owner.